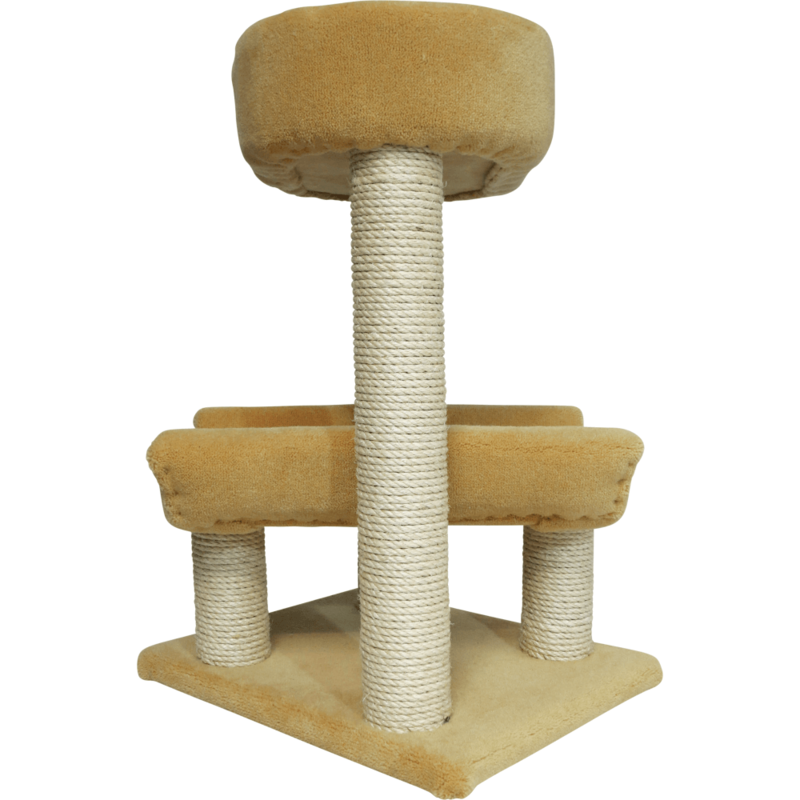 A Pagoda for a nice lay down, a cosy bed to snuggle and sleep in, and 4 posts for scratching. 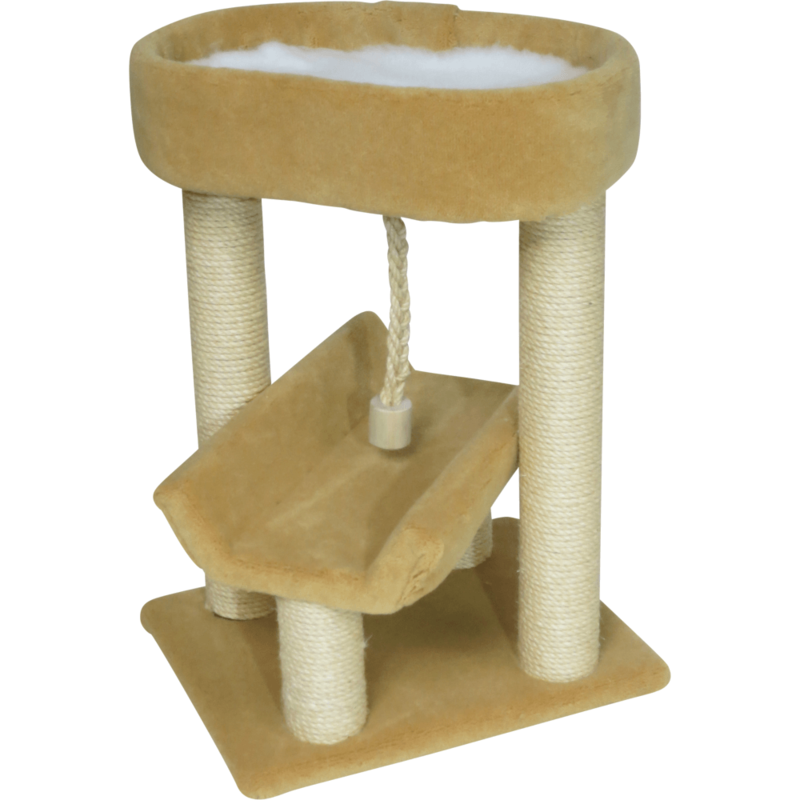 This scratcher is a great choice for many single cat homes. 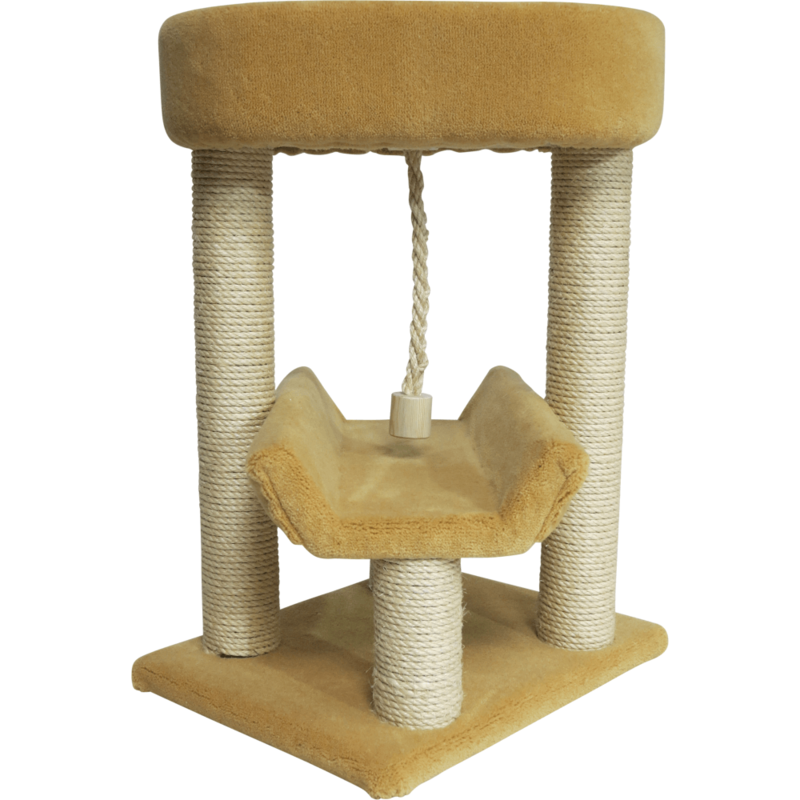 It has a a comfy oval bed to stretch out in on a night, a pagoda at the bottom so they can lay and have a quick nap or sit and have a good groom, plus a plait rope that needs attacking. 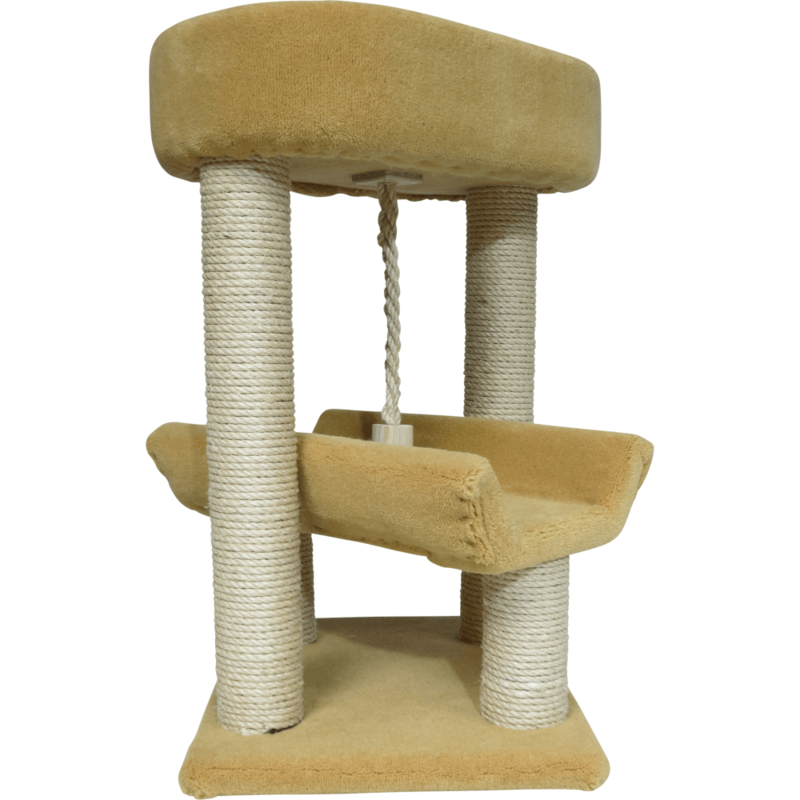 This model provides just what your cat needs. This model features a carpeted 20 inch long pagoda, a carpeted 20 inch long oval bed, four solid timber, 3 inch diameter, sisal wrapped posts, two measuring 24 inches and two measuring 6 inches, all on a 16 x 20 inch carpeted wooden base.